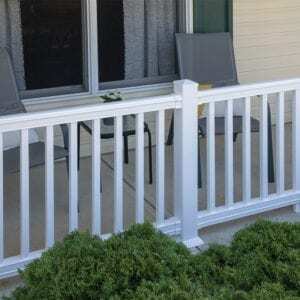 Freedom vinyl railing delivers both style and code-compliant security with aluminum reinforced top rail for added strength and durability. Easy to assemble kits are available in three colors and can be customized with a selection of baluster options – from classic square to sleek round aluminum. 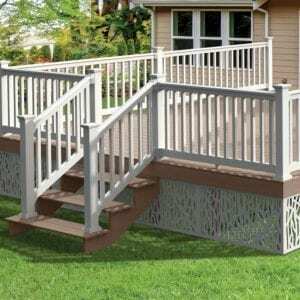 Choose from a variety of post tops, base trims & lighting options to give your railing project your own personal touch.